Notice: Welcome to our RCID. Agricultural information is the basic necessity for farmers as it plays a pivotal role in en lightening them, raising their level of knowledge and eventually help in their decision making process regarding farming activities. In developing countries such as Rwanda, farmers do not have the opportunity to access to new technology because of the high risk and cost. Since July 2012, Rwanda Agriculture Board (RAB) through its Crop Production and Food Security Department in partnership with One Acre Fund-TUBURA. The Crop development of the Ministry of Agriculture and Animal Resources (MINAGRI) and Agriculture Food and Extension department at Rwanda Agricultural Board (RAB) put the food security and nutritional diversity has one of the key areas that a developing country should address. The MINAGRI strategy focuses on improving the Farmer-to-Farmer Extension System by building the capacity of Farmer Promoters to serve as agricultural extension agents in their respective villages. Farmer Promoters serve a variety of tasks, such as helping local authorities mobilize farmers for season activities in their villages, training other farmers on good/appropriate agricultural practices, and promoting fertilizer use to increase household productivity and income. The main objective of this project is to implement the efficient extension system aiming at transferring appropriate practices/technology to the small-scale/subsistence farmers that can play a crucial role in the solution/alleviation of this problem. RCID through the Rwanda Agriculture and Animal Resources Development Board (RAB) partnership with One Acre Fund (OAF) are implementing Rwandan Agriculture extension model “TWIGIRE MUHINZI Extension Model”. The Twigire Muhinzi model has made efforts to train farmers who can train others under the Farmer Promoters approach so as to ensure that proximity extension providers (paraprofessionals) are available in each village. RCID has been contracted by One Acre Fund (OAF) to distribute seeds and fertilizers to Sector Agronomists, Cell Social Economic Development Officers, , Farmer promoters (FP’s) and Farmer Field School (FFS). Client: One Acre Fund (OAF). 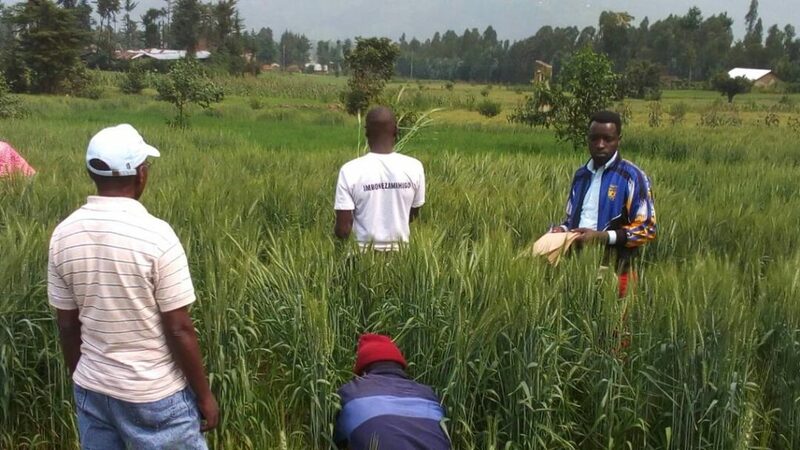 Exploring benefits of Unmanned Aerial Solutions (UAS) advisory services on smallholder Irish Potatoes and Wheat growers in Northern Province of Rwanda.